Eating seasonally is important in many ways; you get the freshest, best quality produce, support local growers & are more sustainable, save money, access a better variety of foods – and much more. That’s why we’re launching a monthly guide to some of the produce that’s best to buy right now, and how to cook it. This is our first one for January 2016. But it’s often hard to get excited about long lists of what to buy, so we’ve teamed up with Miss Magpie Spy to bring these to life in a more beautiful, engaging way. We’ve followed Niki Groom on Instagram for ages and are thrilled to be working with her on this project. 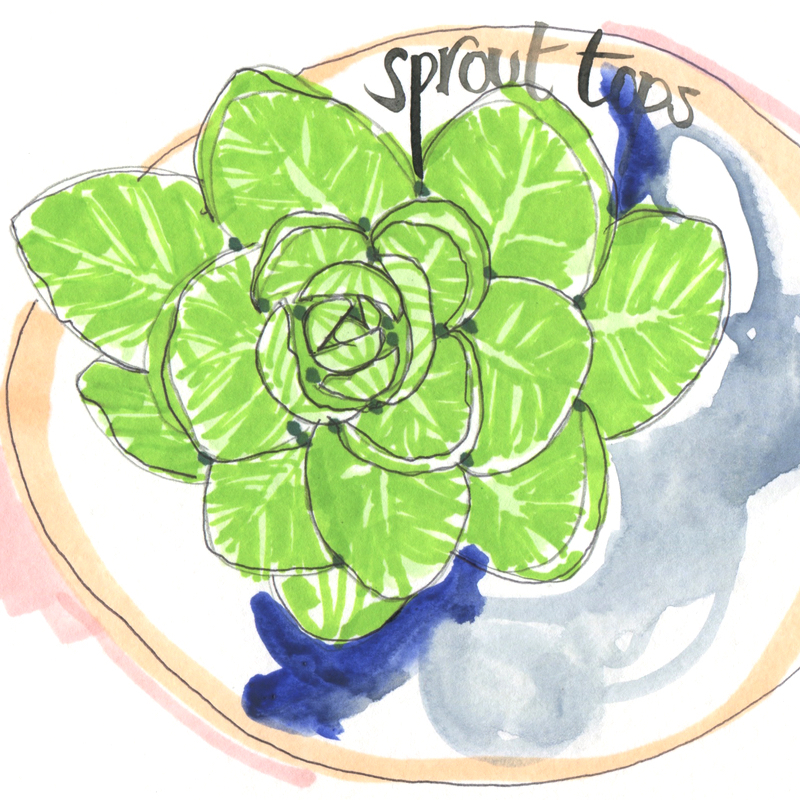 She’s a UK-based illustrator with over 15 years experience in the fashion industry, having worked with Clinique, Accessorize, Links of London, River Island and BBC Radio 1 – but this is the first time she’s drawn food! 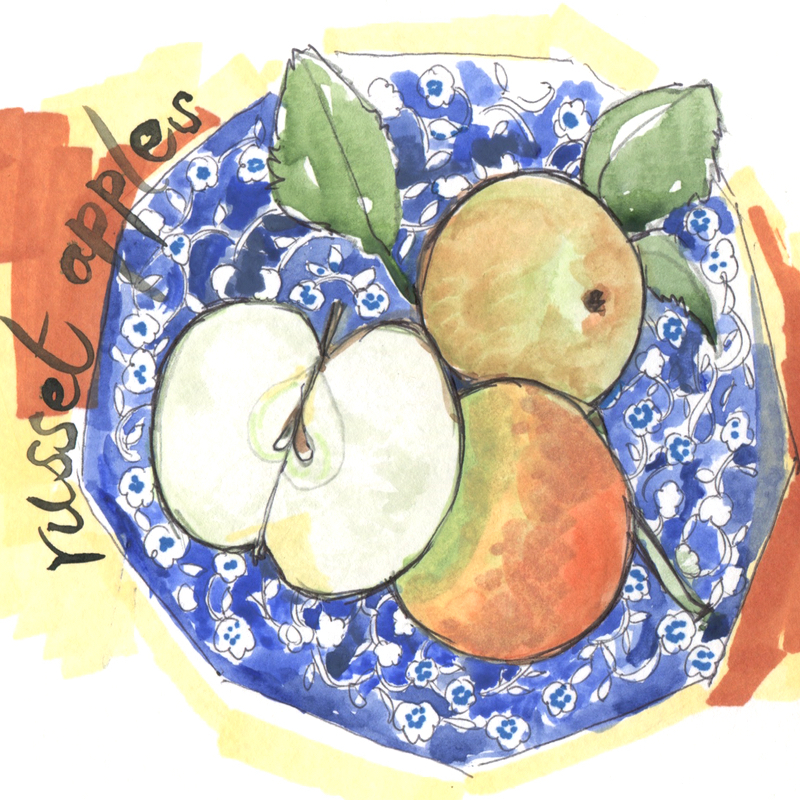 We’re also very lucky to have sourced our veg from Rushton’s Greengrocer (thanks to Russell Norman for the introduction), which provides fresh daily fruit & veg to London’s restaurants and bars, and all of the illustrations feature gorgeous plates that are currently on sale in various retailers. How do you cook them? Quickly, for about 3-4 minutes in boiling salted water. 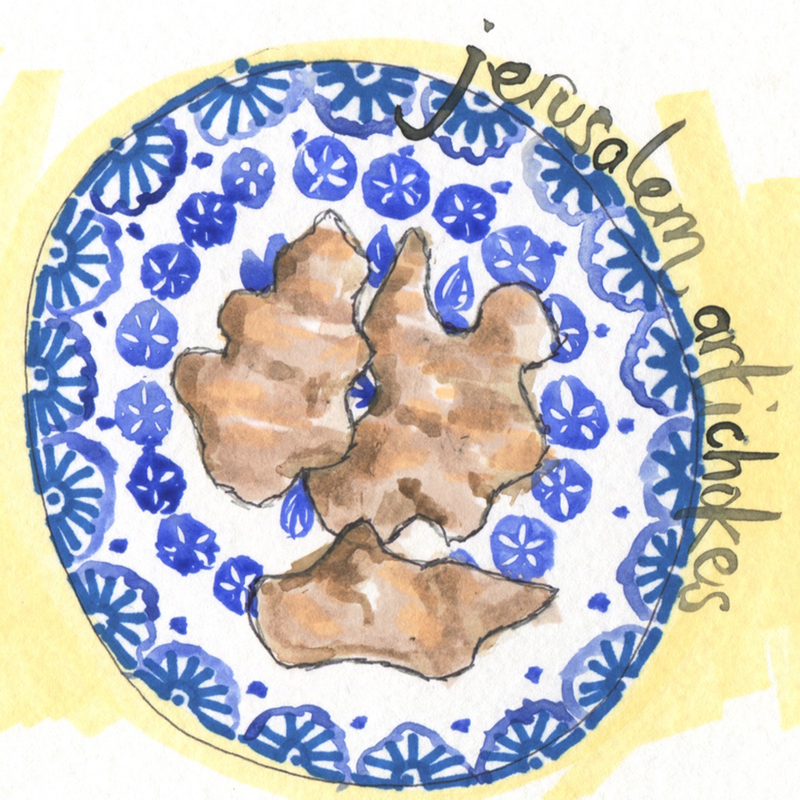 We love Delicious’ idea to serve them with browned butter, lemon and hazelnuts. What are they? These ugly little things are masters of disguise; they look like ginger roots, aren’t actually artichokes (though the two are distantly related as members of the daisy family) and don’t come from Jerusalem! In fact, they’re a variety of sunflower that have lumpy & brown-skinned tubers, and are named from the Italian word for sunflower, girasole. How do they taste? Slightly nutty, like a cross between an artichoke heart and the best potato you’ve ever had. What are they? This variety of pear was developed in Britain by Thomas Rivers and owes its name to the fact that it won first prize at the National British Pear Conference in London in 1885. How do you cook them? Eat fresh as is, or add to a salad (amazing with blue cheese & walnut). If you’re cooking them, don’t mess with them too much. 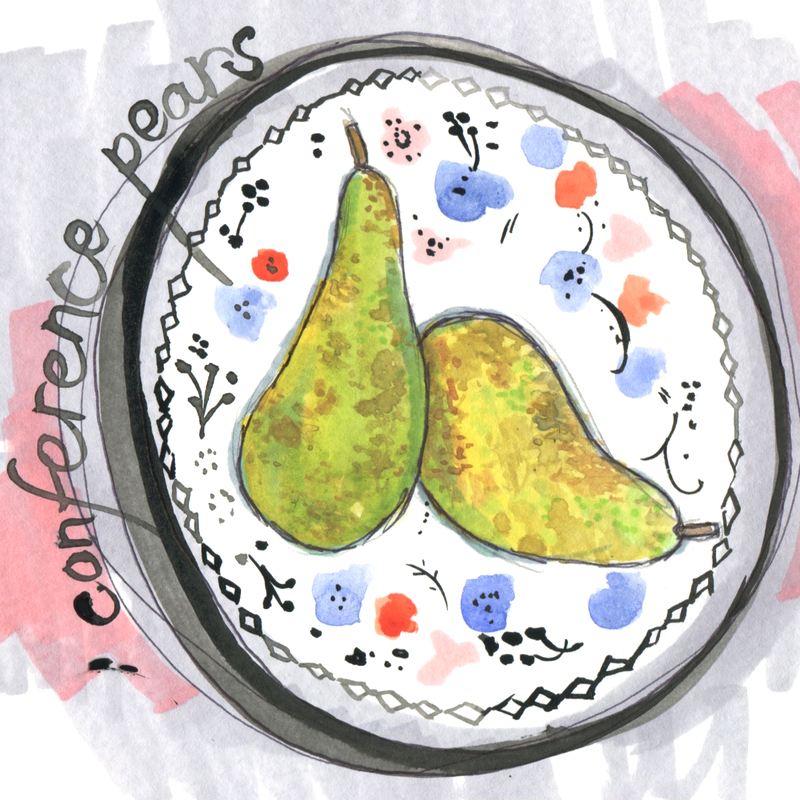 Poach pears in simple syrup with a cinnamon stick or bake them in a tart.